How does data help the shift to mobile banking? Our experience helping banks in central and East Africa resolve their customer data management challenges has given me some exposure to the dynamics of delivering mobile banking services to a largely poor and, frequently, unbanked population. 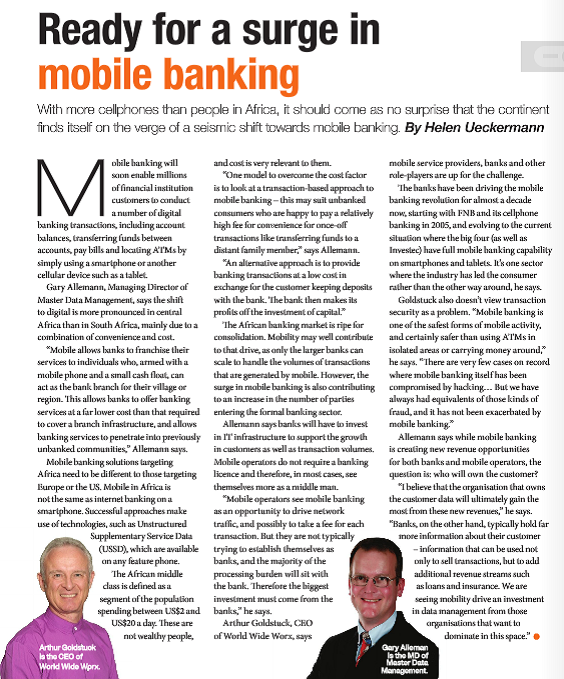 I wrote about this earlier in the post Will quality data differentiate banks from mobile operators? In this post I suggested that, ultimately, trust will decide who will win the battle for the mobile banking customer in these markets. Will quality data differentiate banks from mobile operators?